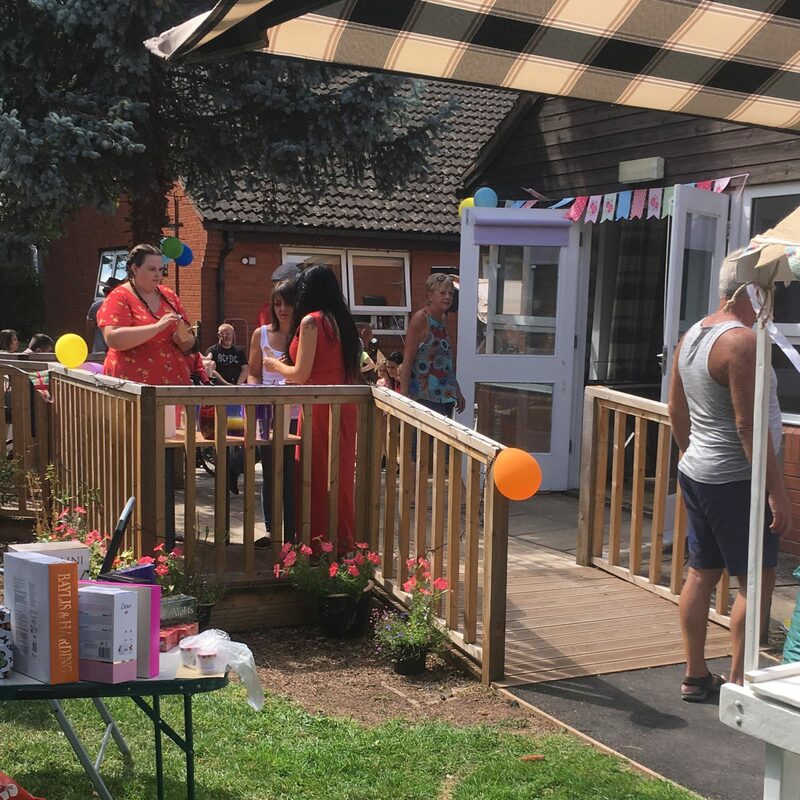 Southbank, our residential service in Herefordshire celebrate their incredible new garden, all thanks to staff volunteering their time. 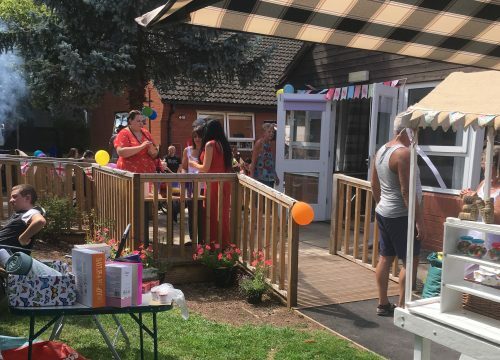 Southbank celebrated the staff’s hard work with a garden party for the people we support, staff, family members and friends from nearby Ridgemoor and Malvern services. 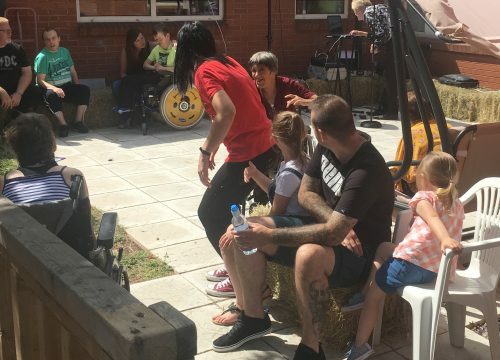 They enjoyed a barbecue and games, including a game of ‘It’s a knock out’, with Southbank declared the winner (although we think a rematch could be on the horizon). 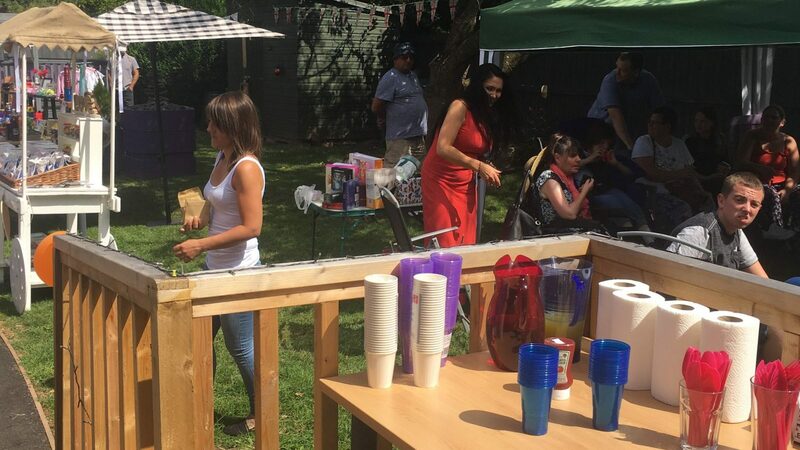 “Earlier this year the backyard was an empty space and rarely used by residents. Staff decided to volunteer their time to give the garden an overhaul. 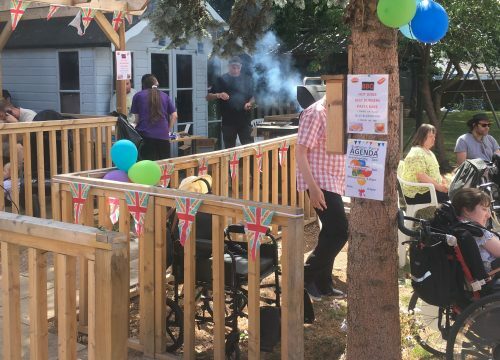 With money generated by the fundraising team, and materials kindly donated by local garden centres and builders merchants, the garden has been transformed into a wonderful space for people to spend time in. 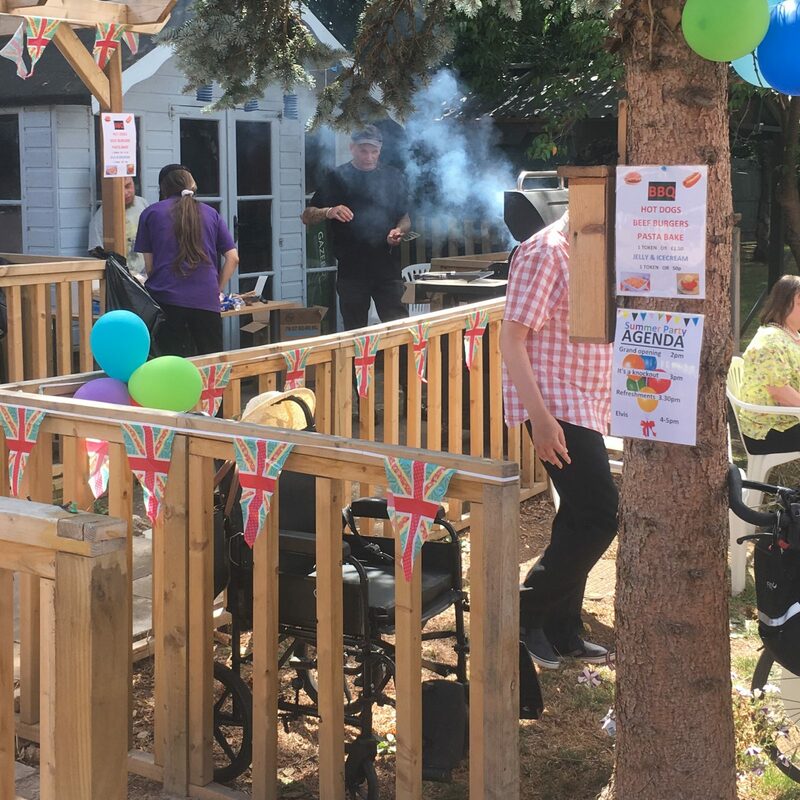 “I am so proud of the staff – the sheer time and effort they put in to creating the new sensory garden is incredible. “From start to finish it took them about six months and the garden is now unrecognisable. 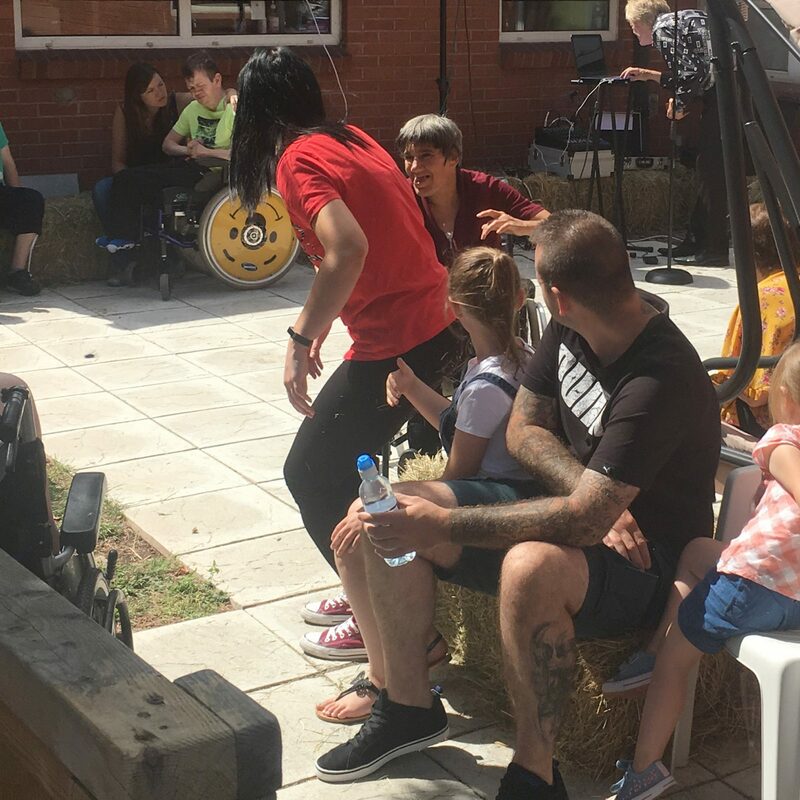 Fountains, wind chimes and pin wheels provide sensory stimulation for the people we support. The seated decking area is a space for eating meals outside They’ve started growing their own fruit and vegetables in the raised beds and there’s even a bug hotel.